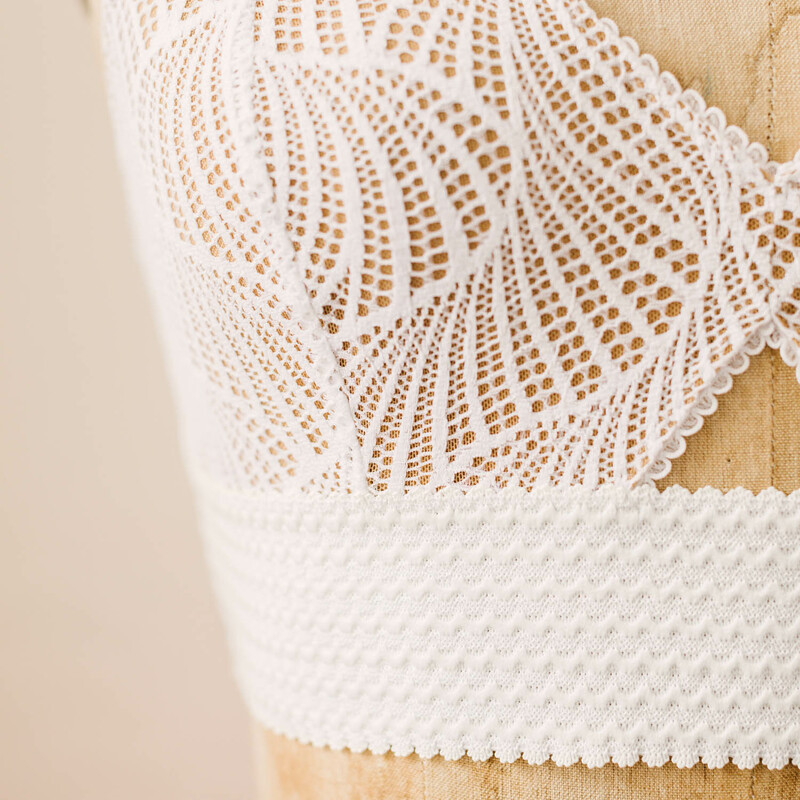 The Barrett bralette in white swirl lace is an everyday bralette that combines support and comfort. It features a triangle cut out at center front, a wide bottom band, and all metal hardware. 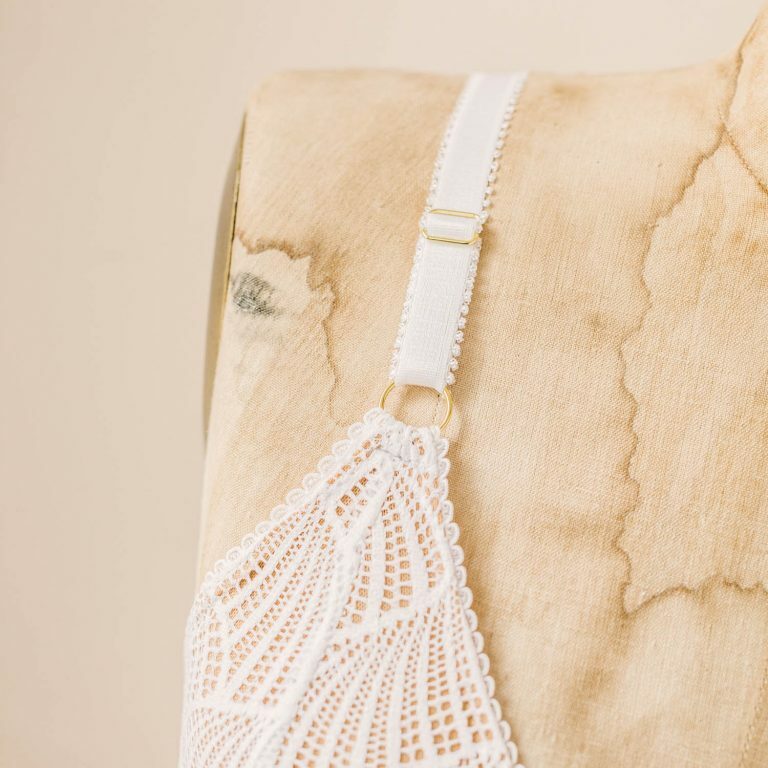 The entire bralette is finished with soft, picot plush elastic. under bust measurement Choose an option26.5"-28.5"28.5"-30.5"30.5"-32.5"32.5"-34.5"34.5"-36.5"36.5"-38.5"
Self fabric and lining are 90% Nylon, 10% Spandex. Don’t forget to show how you wear your Barrett bralette! 26.5"-28.5", 28.5"-30.5", 30.5"-32.5", 32.5"-34.5", 34.5"-36.5", 36.5"-38.5"
27"-28.5", 28.5"-30.5", 30.5"-32.5", 32.5"-34.5", 34.5"-36.5", 36.5"-38.5", 38.5"-40.5", 40.5"-42.5", 42.5"-44.5"